If there's nothing to buy, does a credit still count? In a surprise announcement that’s not really all that surprising, Andy Rubin’s Essential startup has cut the price of its debut phone from $699 to $499, a permanent 30-percent discount clearly designed to drum up sales of the flagging handset. In a short blog post titled, “Free Yourself: An awesome device at an awesome price,” Rubin said Essential’s “small, but mighty, team” decided to offer a discount rather than “a massive TV campaign” to make Essential Phone more accessible to the general public. Last month, smartphone tracker BayStreet Research estimated that Essential had sold just 5,000 units since it launched in August, a pitiful number for a company valued at more than a billion dollars. However, if you’re one of the original people who ordered an essential Phone at full price, you might be left out in the cold. Anyone who bought an Essential Phone will receive a friends and family code for $200 off at the Essential online store, though there are a couple of catches. First, you need to submit your serial number and IMEI number by November 15 to receive your code. And secondly, codes are only valid until December 15. Making matters worse is that there isn’t much of anything to buy. If you pre-ordered through Essential.com you were able to buy a 360-degree camera for $50 (a no-brainer for the $199 accessory), so unless you want a second phone or another camera, the $200 credit isn’t worth the pixels it’s written on. The Essential store is otherwise empty. The company announced a charging dock alongside its new phone that isn’t yet shipping as well as a AI-powered Home speaker that isn’t shipping either. And the chances that code-holders see either of those within the next two months are somewhere between slim and zero. 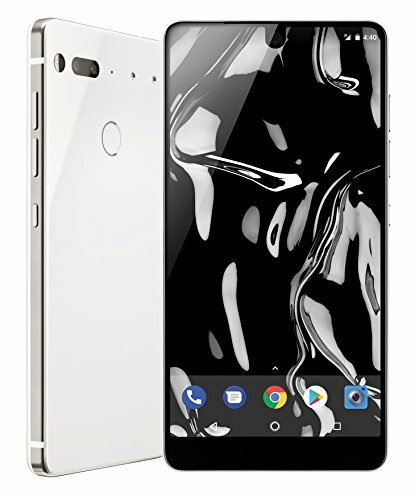 However, $499 is a much more realistic price for the Essential Phone, with its unique bezel-less design and top-of the-line specs. The handset can be purchased in black ops white for $499 through any of the available sellers: Sprint, Best Buy, Amazon, and, of course Essential.com. Essential benefits: Original Essential phone buyers have a reason to be angry. Not only were there shipping delays, the first round of phones suffered from poor camera performance and a distinct lack of accessories. And users are still waiting for an Android Oreo update despite Rubin’s promise that Essential Phone would be updated as quickly and regularly as a Nexus phone. But the real crime is this useless $200 credit. It’s basically a ploy to sell a couple more Essential phones before the holidays and a cheap one at that. Hopefully Essential comes to its senses and extends the promotion until at least something else starts shipping, assuming something else ever does.